If you’ve fallen in love with Todoist for managing your daily tasks and to do’s, you might wonder how you can integrate Todoist even deeper into your work style. 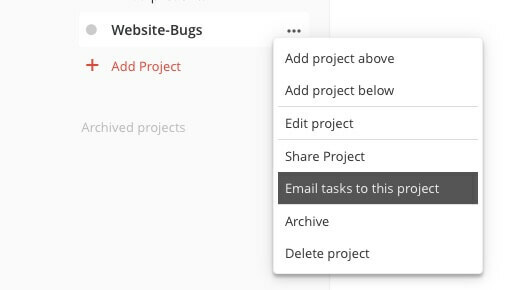 As a web development team, we asked ourselves: Can we make Todoist our main bug tracking tool? In this blog post, I’m going to show you how you can handle website bugs, change requests from clients and messages from website visitors by integrating Todoist with Usersnap. Why Todoist for bug tracking? So you might wonder, why should you use a Task manager like Todoist as a bug tracking tool for your team? The short answer is: Website bugs or change requests are also tasks which you and your team must deal with. 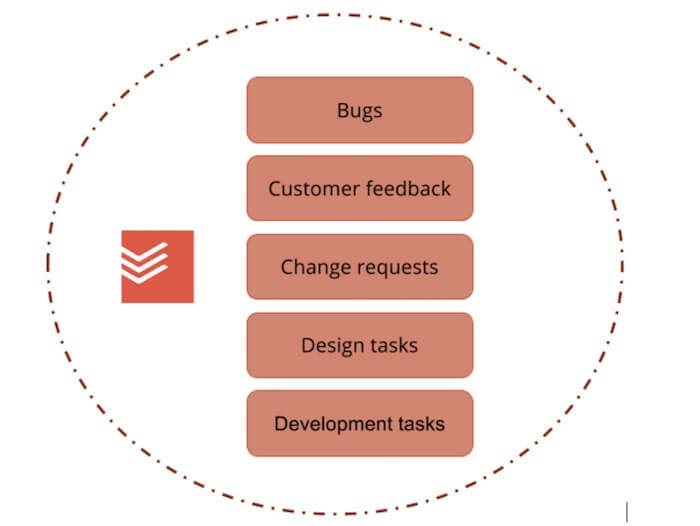 Managing those bugs, customer change requests or new ideas with another bug tracking tool might seem a bit overwhelming if you’re a small team. This makes managing your bugs in the same place as your other tasks seem like a good and simple option. How to set up Todoist for bug tracking? Before we talk about Todoist, I’d love to give a shout-out to Usersnap, which connects great with Todoist. 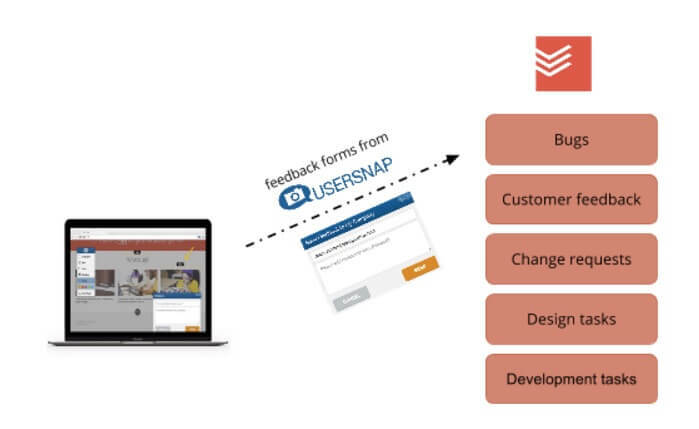 Usersnap is a visual bug reporting & feedback tool which enables you and your website visitors or clients to easily create a bug report. When signing up for Usersnap and creating your first project inside Usersnap, you get asked to add a little code snippet to the website or application from which you want to receive feedback. If you’re using a common CMS (like WordPress, TYPO3 or Drupal), you can also make use of available Usersnap extensions. Other than that, I recommend adding the code snippet to your website. After adding the feedback widget to your site, you’re good to go. Just one step missing. You’re nearly there. Now you simply need to connect Usersnap (with it’s feedback widget) to your Todoist account. It’s super simple. If you’re using a Premium Todoist account, Todoist allows you to send new tasks via email to your Todoist projects with a custom Todoist email address. And now we just need that email address for connecting with Usersnap. Here’s how you get it. 1. Create a new Todoist project or select an existing one. Be aware that this will be the project where you will start receiving all website feedback and bugs. 3. Copy the that email address. 4. Switch to your Usersnap account and go to 3rd party integration in your settings. After selecting email, you can now paste that email address to your Usersnap account. Wow. That was easy. Setting up Todoist with Usersnap is easy. You’re now ready to receive feedback from your website visitors, customers or colleagues and have them directly delivered inside Todoist. 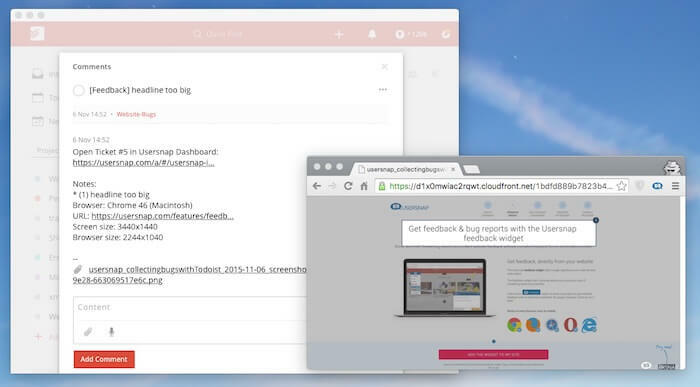 PS: Also check out the Chrome and Firefox extension from Usersnap which allows you to capture anything and send it to your Todoist projects. This article was brought to you by Usersnap – a visual bug tracking and feedback tool for every web project.